At Eden. Eden's last dance of the summer. Eden celebrates the end of another spectacular summer on Thursday 4 October 2018. For its final hurrah, it joins forces with techno brand Terminal 4 together with Jacky & Friends to close out the season. 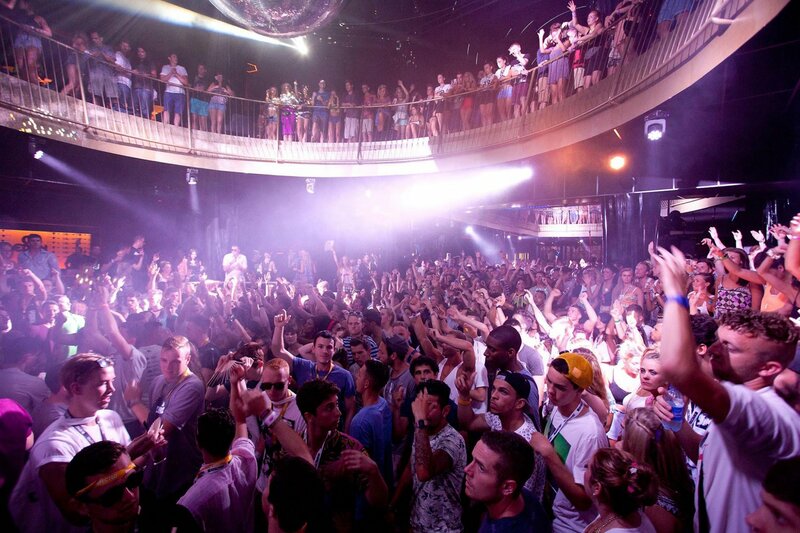 The golden-globed San Antonio nightclub no doubt will be hosting an array of gems across the night to see out summer with the biggest, baddest tunes around. With both unadulterated techno and smashing house on the menu, this closing has it all. After hosting a sold-out opening, Terminal 4 bring both established and up-and-coming talent on the menu. Signed up for the end-of-season shindig in 2018, we have Hungarian star Jay Lumen, techno power-duo Drunken Kong, groovy house master Oscar L, as well as Fabio Ferro and Clayton & OK 1 delivering the best from the underground techno world. From the Jacky & Friends front in the NeXt room, we have tech house master Jacky himself, who has delivered some legendary sets at Defected this summer. DJ Award winner Clara Da Costa, wide-ranging house maestro and Egg resident Dermot C, experimental master Fantome, island favourite Jason Bye, as well as Charlie Spark, James Campbell, Juanito Chanclas, Nick Holmes, Nunkii, Roots and Ryan Wallace will be completing the bill for what is set to be a closing party for the books. Eden is known to have one of the most impressive sound systems on the island, so you can be sure you felt every vibration and beat at this end-of-summer-celebration. Standing alongside the club as it waves goodbye to the season is always a great idea. Just remember to bring the tissues.